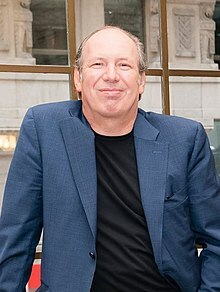 Hans Florian Zimmer (German pronunciation: [ˈhans ˈfloːʁi̯aːn ˈtsɪmɐ] ( listen); born 12 September 1957) is a German film score composer and record producer. Since the 1980s, he has composed music for over 150 films. His works include The Lion King, for which he won the Academy Award for Best Original Score in 1995, the Pirates of the Caribbean series, Interstellar, Gladiator, Inception, Dunkirk, and The Dark Knight Trilogy. Zimmer has collaborated on multiple projects with directors including Ridley and Tony Scott, Penny Marshall, Ron Howard, John Woo, Michael Bay, Gore Verbinski, Antoine Fuqua, Steve McQueen, Zack Snyder, Denis Villeneuve, and Christopher Nolan. Zimmer was born in Frankfurt am Main, West Germany. As a young child, he lived in Königstein-Falkenstein, where he played the piano at home but had piano lessons only briefly as he disliked the discipline of formal lessons. In one of his Reddit AMAs, he said "My formal training was 2 week(s) of piano lessons. I was thrown out of 8 schools. But I joined a band. I am self-taught. But I've always heard music in my head. And I'm a child of the 20th century; computers came in very handy." He moved to London as a teenager, where he attended Hurtwood House school. During his childhood, he was strongly influenced by the film scores of Ennio Morricone and has cited Once Upon a Time in the West as the score that inspired him to become a film composer.